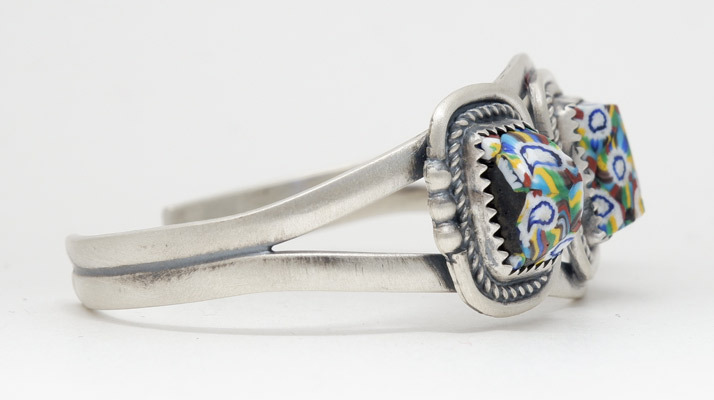 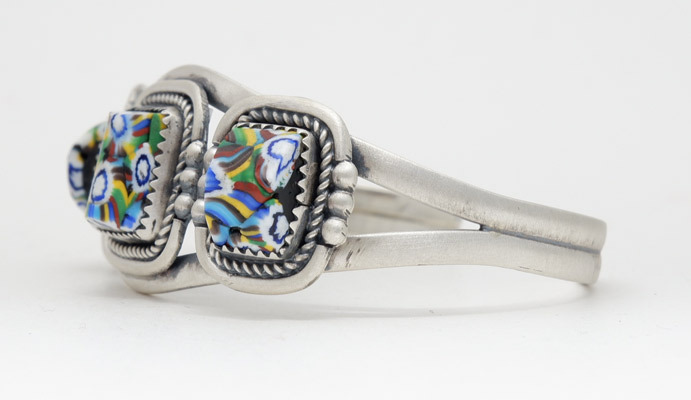 Three white multicolored glass trade beads adorn this small wrist sterling silver cuff bracelet by Navajo artist Martha Willeto. 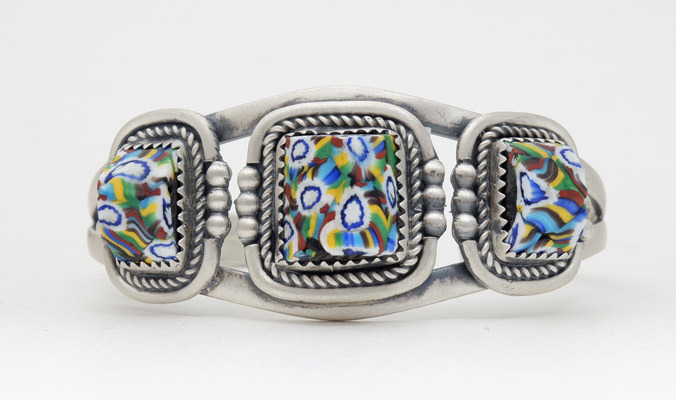 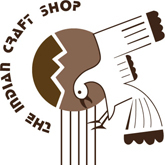 Navajo jewler Martha Willeto has started incorporating old European artisan glass trade beads into her jewelry, making for a fun, different style. 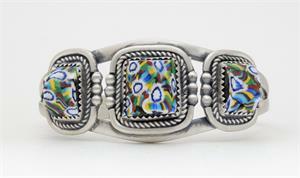 In this cuff bracelet Martha has set multi-colored glass beads, into satin-finished sterling silver rope twist setting.